It is security best practice to ensure that Kerberos Authentication to your NetApp CDOT CIFS server works. So, following on from the GSLB DNS Load Balancing and Failover Configuration design, here’s some additional information to ensure Kerberos works with the solution. 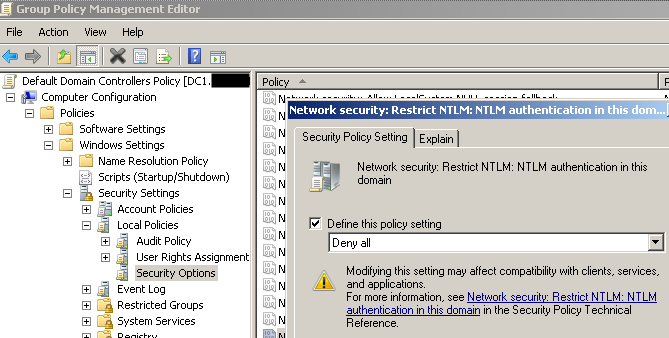 For Kerberos authentication to work, SPNs (Service Principal Names) must be configured. With this setup, Kerberos will work fine! Do you need the CNAME? 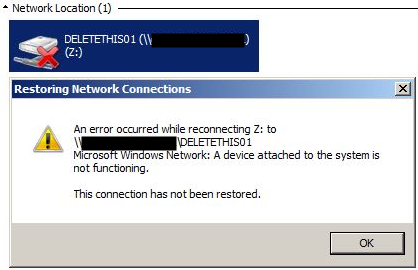 And an example of the error you might see when Kerberos is expected but not functioning. In this scenario, it might be worth setting SPNs also for every data LIF, to enable Kerberos if using/testing without the load balancer.